Yes, you read that right. The Original Chipwich is back. We had a small hand in launching the product’s website, social strategy, e-mail campaign, and influencer campaign. We are excited to announce the product is officially in stores! You can find out more information about Chipwich – and also give their social channels a visit, the branding is really great and modernized (Thanks to The Fantastical and Bridges Design). 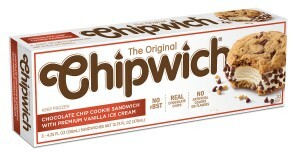 Right now you can find The Original Chipwich in about 700 stores, and they are continuing to expand as we speak. To the people that were searching high and low for Chipwiches the past decade, your search is over. It is still the same deliciousness that you once had in the 80’s or 90’s.